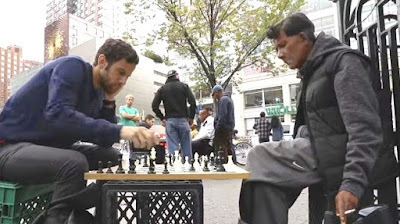 Comedian Tom Delgado takes us on a chess tour of Union Square, Washington Square Park, and Thompson Street. 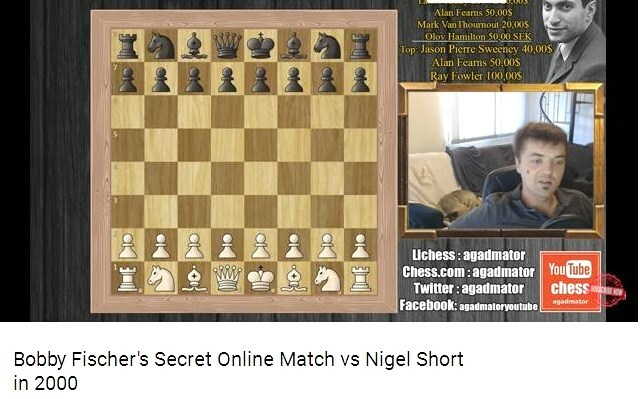 Fischer vs. Short, Internet Chess Club 2000? Was it really Bobby Fischer who defeated Nigel Short by a score of 8-0-0? 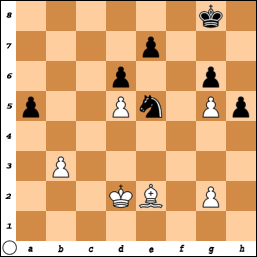 On Sunday, I finished with a record of 3-1-0 in the tournament at the Marshall Chess Club. 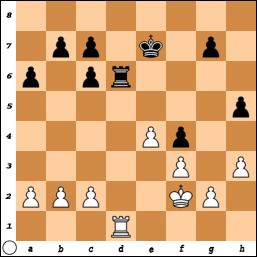 31.Ng2 Ng5 32.Kf2 Nxe4 33.Rxe4 Nc7 34.a4 Ne6 35.h4 Kg7 36.Kf3 b6 37.Ne3 Rd8 38.Nc2 Red7 39.Ke3 c5 40.dxc5 Rd3+, White resigns. 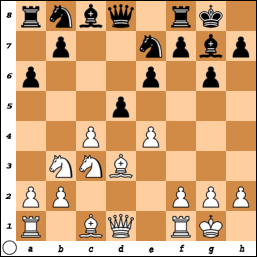 67.Kb5 Rb8+ 68.Ka4 Ra8+ 69.Kb3 Rb8 70.Rc4+ Kd5 71.g4 fxg4 72.Rxg4 Rc8 73.Rg5+ Kd4 74.b5 Rc1 75.Kb4 Ra1 76.Rg8 Rb1+ 77.Ka5 Ra1+ 78.Kb6 Rb1 79.Rc8 Kd5 80.Rc2 Kd6, Black forfeits. 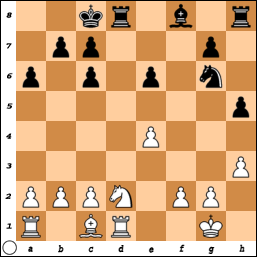 On Saturday, I finished with a score of 0-0-4 plus two half point byes in the tournament at the Marshall Chess Club. 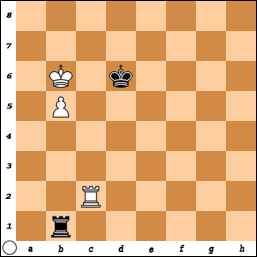 28.Rd3 c5 29.Rxd6 cxd6 30.c4, draw. 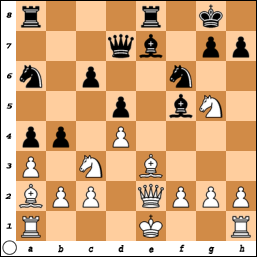 31.Kg1 Nxf2 32.Rxf2 Rxf2 33.Kxf2 Rc2 34.Ke3 Rxa2 35.Rxd2 Rxd2 36.Kxd2 a5, draw. 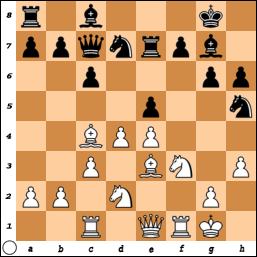 26.b4 Kf6 27.c3 e5 28.Kc2 Ke6 29.g4 f5 30.gxh5 gxh5 31.Kd3 Kd6, draw. 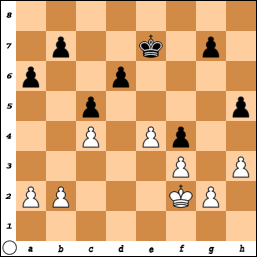 27.Nc5 Rxa1 28.Qxa1 Nxe3 29.fxe3 Qxe3+ 30.Kh1 Be4 31.Nxe4 dxe4, draw. 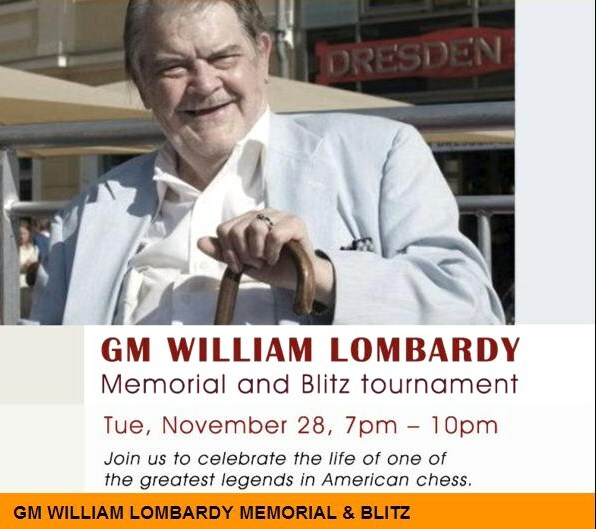 Read Frank Brady's tribute to GM William Lombardy. 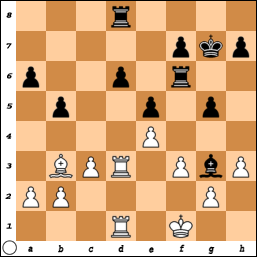 On Saturday, these pictures were taken by me during the tournament at the Marshall Chess Club. 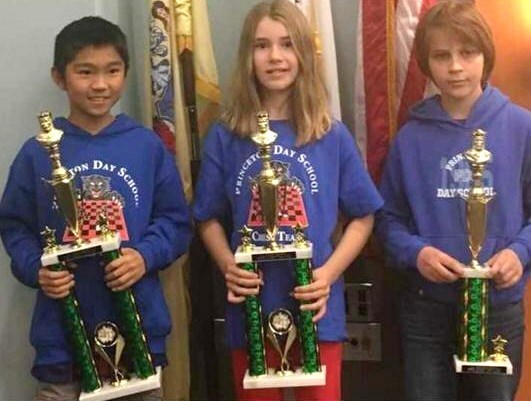 Princeton Day School students excelled at the New Jersey K-12 Grade Championship tournament. 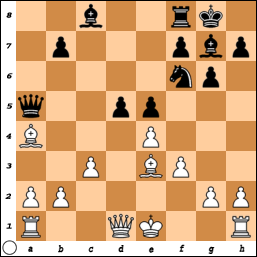 On Monday, this game was played at the Marshall Chess Club. 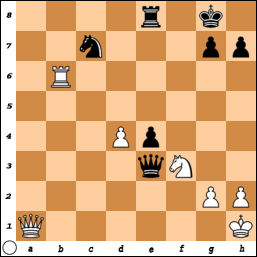 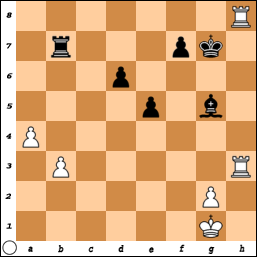 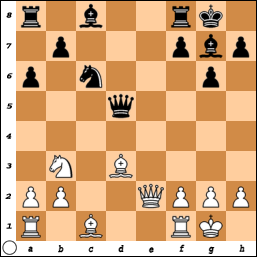 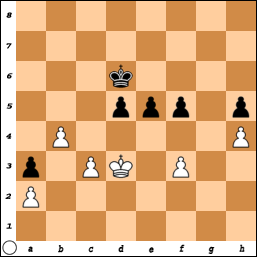 10.cxd5 exd5 11.exd5 Nxd5 12.Nxd5 Qxd5 13.Qe2 Nc6, draw. 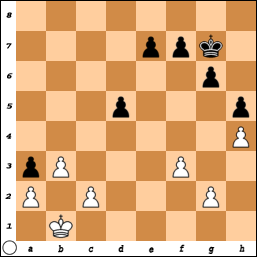 27.Qc4 cxd4 28.Nxd4 Qxd4 29.Bxc6 Qxc4 30.Rxc4, draw. 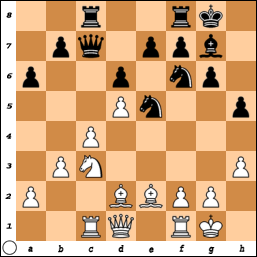 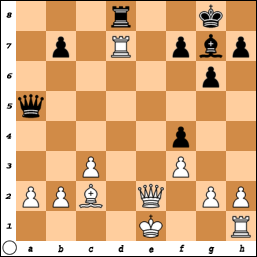 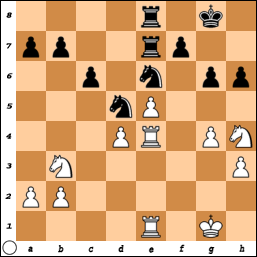 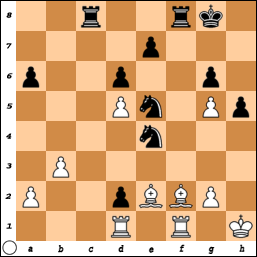 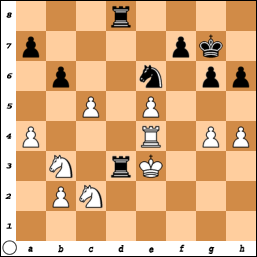 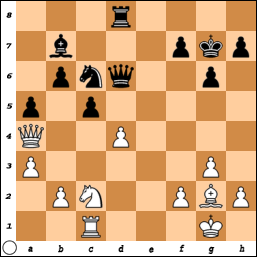 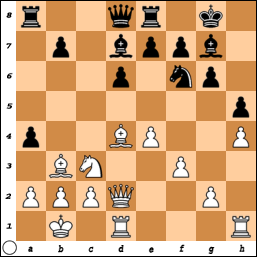 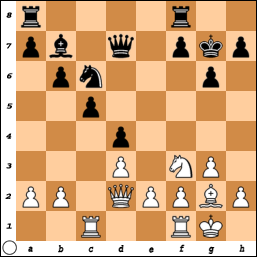 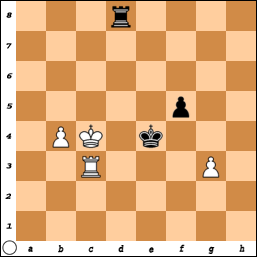 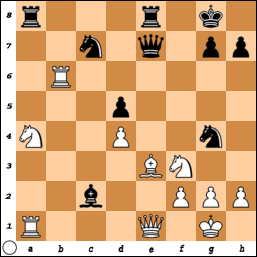 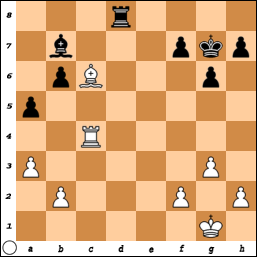 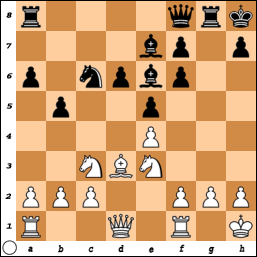 15.Bc2 Rd8 16.exd5 Nxd5 17.Qe2 Nf4 18.Bxf4 exf4 19.Rd1 Bd7 20.Rxd7, Black resigns. 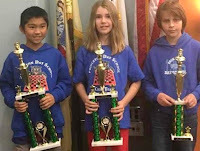 Look at these pictures taken by me during Saturday's tournament at the Marshall Chess Club. "LA Times" Review of Rock Opera "Chess"
"The Australian": Review of "Deep Thinking"